How do I analyze an investment property? Ask Charles Cherney - Question #31 - How do I analyze an investment property? How do you analyze an investment property? The short answer is very carefully - Be sure to do your homework and do the math! 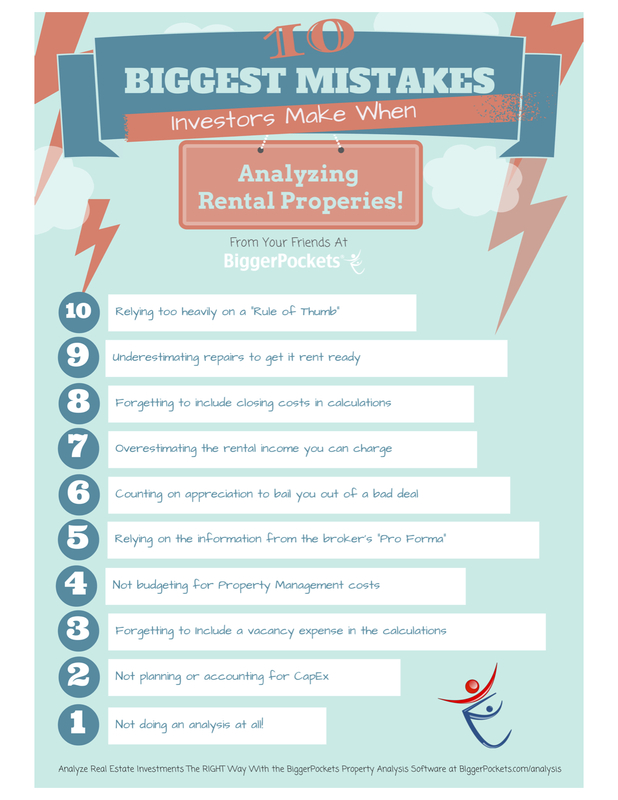 Brandon Turner has written an excellent blog post on analyzing rental properties that I strongly encourage you to read. Be sure to do the kind of line item analysis that Brandon Turner presents in his blog post.